Stegosaurus Studios: JINGO is here! J.I.N.G.O. -- America's Greatest Combat Squad is here and ready for you to buy! J.I.N.G.O. 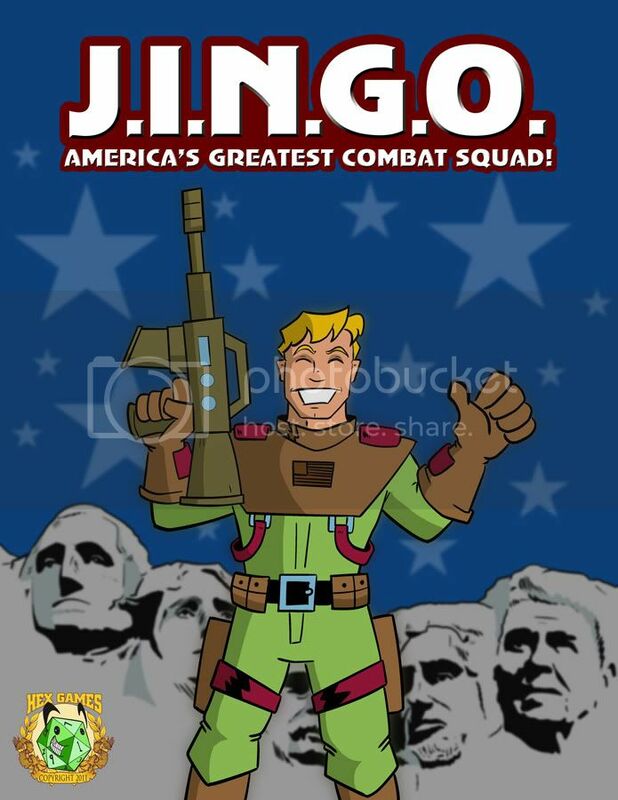 is a QAGS setting I wrote based on the millitary action cartoons I loved as a child of the 1980s. Leighton "Leopard Women of Venus" Connor did all the groovy interior art. I'm pretty proud of the whole project. GO GIVE IT A LOOK-SEE!